Almost 500 objectors – including Scottish Natural Heritage – have spoken out against controversial plans for a major housing development close to an Aberdeenshire beauty spot. A planning application in principle has been lodged by Turriff-based Sandlaw Farming for the development at Braehead, Auchattie, at the south end of Banchory. The proposals are for 300 rented homes, 75 affordable homes and 25 assisted-living apartments, ranging from one-bedroom flats to five-bedroom houses. 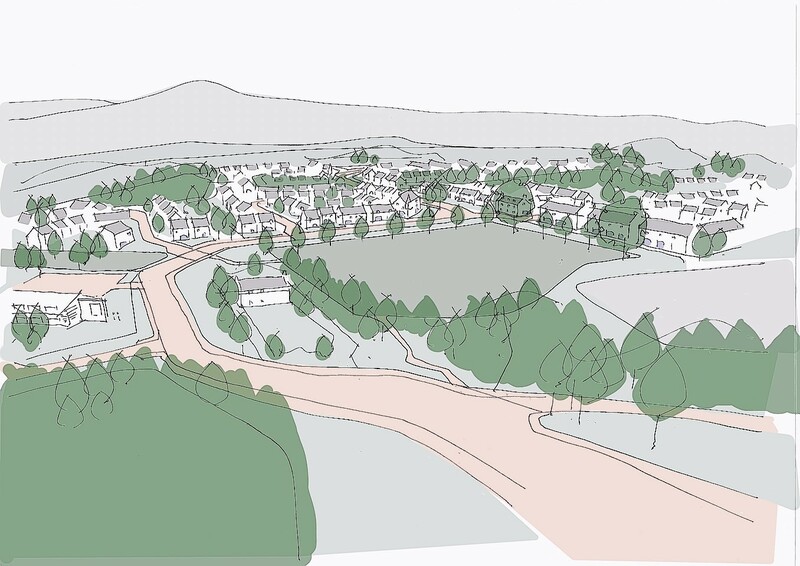 The scheme also includes live-work units and plans for a Banchory Medical Centre. A total of 481 objections have now been lodged against the application, along with three comments from people who support it and another two who are neutral. The Banchory-based Scolty Redevelopment group has opposed the plans, highlighting the potential impact on the wildlife of Scolty woodlands, as well as traffic on local roads and schools. Last night, the group’s spokesman, Mike Adams, said the site had not been included in Aberdeenshire Council’s Local Development Plan and that approving it would “tarnish the planning process”. Mr Adams said: “From our point of view, 400-500 objections just shows how much everyone cares and how much we want to protect south of Deeside from this development. I am hoping it will go over 500. “This site has never been approved by the council, it is not in the local development plan, it is not in the proposed local development plan. A Sandlaw Farming spokesman said: “Given the public reaction to the early consultation meeting on the development it was quite clear there was a body of objection to the development. “What our focus is on is locals who haven’t got houses. A lot of the housing being collated in the local development plan is for high-value, big properties. The council will continue to accept comments on the application until midnight tonight.